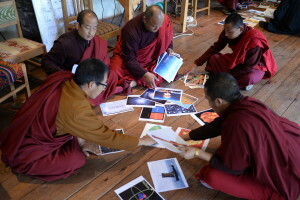 In 2015, monastics with the Ati Foundation in Bhutan contacted us, hoping that we might expand to Bhutan. Buddhism in Bhutan is characterized by mostly Kagyu and Nyingma lineages, like those found in Tibet, and that have developed into distinct lineages of Bhutanese Buddhism. Even in remote villages in Bhutan, the next generation is growing-up in a fast-paced digital world. 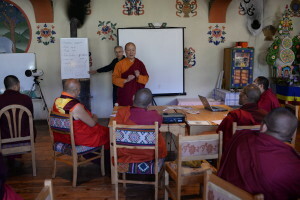 Our activities in Bhutan seek to involve monastics in all regions of the country, and steadily positions a team of Bhutanese monastics that can champion future activities that deepen an indigenous commitment to exchanges and dialogue with science.